The Pearson Chiropractic team is here to help you feel better. Each team member has received special training to make your visit enjoyable and your treatment program effective. Your comfort is important to us. Let us know if there is anything we can do to make you more comfortable during your office visit. Dr. Pearson began practicing as a chiropractor in 2000; founded Pearson Chiropractic in 2002. Dr. Pearson specializes in treatment of mid-back and low-back pain, neck injuries due to whiplash and is one of the very few chiropractors trained to treat ear infections. Dr. Pearson is a life-long athlete and retired world class body builder. He has completed specialty training to help athletes naturally increase athletic performance and recover from injury faster. He is one of just 25 doctors on the elite team of doctors who treat the United States Olympic athletes. Dr. Pearson has received his CCSP® and DACBSP® certifications. CCSP® (Certified Chiropractic Sports Physician®) requires post-graduate education in Chiropractic sports medicine, completion of courses and a written exam. This is a pre-requisite to earning the DACBSP® (Diplomate American Chiropractic Board of Sports Physicians®). Earning the DACBSP certification requires successful completion of a written exam, a six-station practical exam, a written project, and 100 hours of practical experience in the field. Dr. Jay Pearson is listed in the National Concussion Registry, identified as a provider that has trained and completed the ACBSP® Concussion course. Additionally he is trained in the Graston Technique a unique, evidence-based form of instrument-assisted soft tissue mobilization (IASTM) that enables clinicians to address scar tissue, fascial restrictions and range of motion through comprehensive training. Dr. Hamilton graduated from Western States Chiropractic College as the youngest student in his class at the age of 25 in 1988. He has spent his entire professional career of 26 years of practice in the State of Washington. Dr. Hamilton is one of only 200 Internationally Board Certified Chiropractic Neurologists in the world. He was one of the earliest chiropractor’s to be granted recognizance by the Washington State Department of Labor & Industries as both an Approved Medical Examiner and Consultant. Dr. Hamilton has extensive clinical experience. His practice emphasis includes treatment of sports injuries, on-the-job injuries and persons injured in motor vehicle accidents, as well as every day aches and pains seen in family practice. Dr. Gavan Graham joined Pearson Chiropractic in 2011. Dr. Pollard has been practicing chiropractic since 1995. 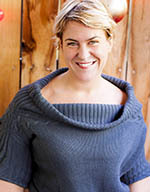 She graduated from Western States Chiropractic College, as a Doctor of Chiropractic, in 1995. Dr. Pollard specializes in women’s health, athletes, geriatrics and treating motor vehicle accident victims. She is specially trained to provide treatment during pregnancy and to treat fibromyalgia. Christian graduated with a BA in Sociology, with a focus in Cultural Anthropology in 1991. In 1994 (and many ski towns later) She headed to massage school in Santa Fe, New Mexico. It was while in Santa Fe that Christian experienced acupuncture for the first time. Within a month, the symptoms for which she was receiving treatments were totally relieved. The life decision was made, and she packed up the car and headed back east to open a massage practice, and obtain the needed prerequisites for a Masters in Acupuncture and Oriental Medicine. Christian graduated from the Seattle Institute of Oriental Medicine in 2001. She continues to study acupuncture techniques, take classes, and study Chinese herbal therapies. A strong network of health practitioners is in her opinion pivotal for the health of a patient, which is why she is thrilled to be a new part of the Pearson Chiropractic team! Acupuncture has seen her through endometriosis, a car accident, competitive rowing, skiing injuries, anemia, and just plain old stress and fatigue. Currently, acupuncture is keeping Christian’s shoulders and back surfing ready for the Pacific Northwest winter swell, and Central America’s big waves! Christian hopes to draw upon her experiences with acupuncture, Chinese herbs, and massage to promote health for all she is able to treat. 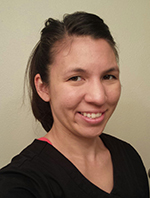 Stephanie received her Bachelor’s of Science in Physical Education with an emphasis in athletic training from Pacific Lutheran University. She minored in coaching and sports psychology. Stephanie enjoys helping others to maintain and regain an active lifestyle. In her free time Stephanie enjoys spending time with her family and painting.